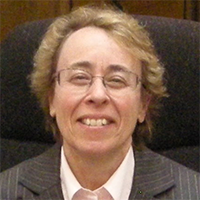 Carol Schweiger, Chairperson of New England Intelligent Transportation Society and President of Schweiger Consulting, has 38 years of experience, and is nationally and internationally recognized in transportation technology consulting. Her wide-ranging and in-depth expertise is in several specialty areas including technology strategies for public agencies, public transit technology, traveler information strategies and systems, and systems engineering. Ms. Schweiger has provided over 55 transportation agencies with technology technical assistance. She co-developed and was the lead instructor for five transit technology training courses for the National Transit Institute (NTI) and six modules regarding transit technology standards. Ms. Schweiger authored numerous Transit Cooperative Research Program (TCRP) Synthesis reports and full TCRP reports. Ms. Schweiger serves as Co-Chair of the Transportation Research Board (TRB) Committee on Emerging and Innovative Public Transport and Technologies, a Charter Member of the Public Transportation Systems and Services (PTSS) Committee of the Intelligent Transportation Society of America, and member of the Program Committee of the ITS World Congress and TRB ITS Committee. Panel discussion: Technology: market for the suppliers’ industry or real benefit for the customers?